A special event paying tribute to the iconic music of Afrobeat pioneer Fela Kuti and renowned visual artist Lemi Ghariokwu. 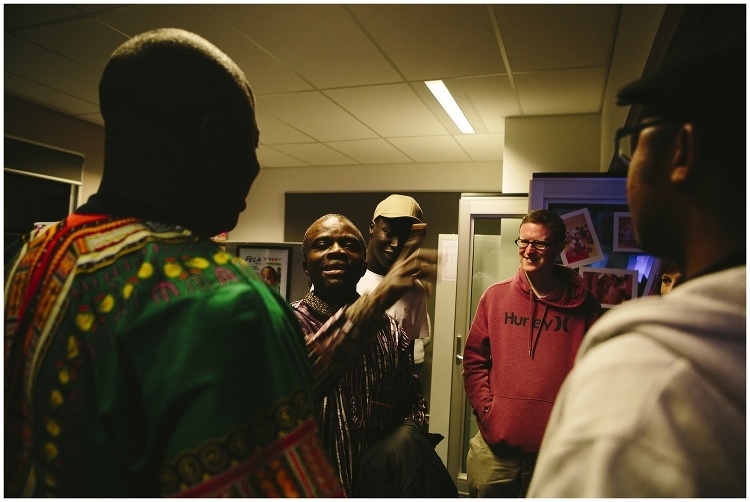 Lemi Ghariokwu, the award winning visual artist famous for creating most of Fela Kuti’s album covers, came to Australia to present his work and co-host a series of events marking the 20th anniversary of the death of his friend and mentor, Fela Anikulapo Kuti. 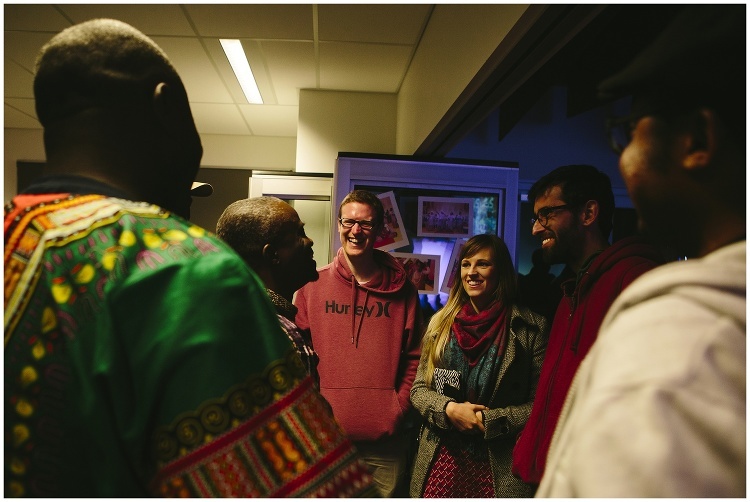 Presenters Multicultural Arts Victoria and Flight 1067 to Africa on PBS, were very pleased to have Shepparton on the itinerary for this special commemorative tour, with a special free Afrobeat Celebration at St. Paul’s African House. 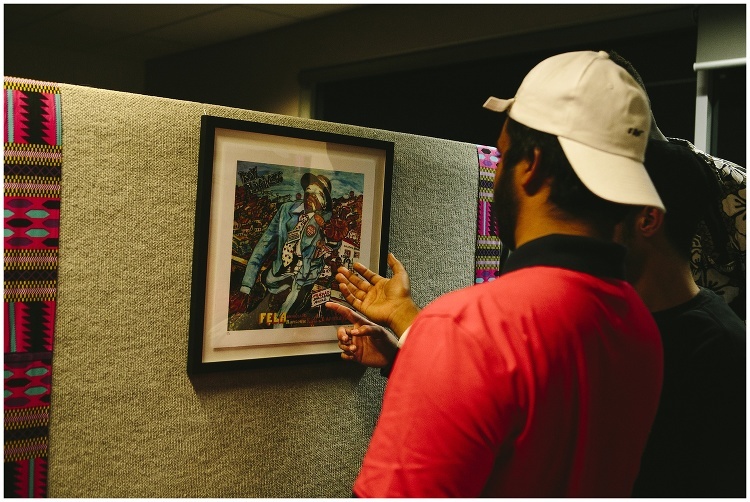 The evening featured an exhibition of Lemi Ghariokwu’s album covers and included an artist talk from the man himself. Completely self-taught, this “Lagos Afro-pop art exponent/Afro-visionary artist” gained worldwide fame as the designer of Fela Anikulapo-Kuti’s album covers; and between 1974 and 1993, he produced 26 of those, apart from hundreds of covers for musicians like Bob Marley, Kris Okotie, Osita Osadebe, James Iroha, Gilles Peterson, Miriam Makeba, and Lucky Dube. Following the artist talk, local hip hop and African gospel music collective, the Ignite Project Crew and mentor Momo (aka Mohamed Komba), took to the stage to rock you with some original tunes they have cooked up in weekly music mentoring sessions at African House. The group includes 15 local young artists from African backgrounds who are extraordinarily talented and creative both on the mic and with the pen. To wrap up the night, six piece Melbourne based band, Public Opinion Six delivered a high energy set of afro-beat medicine administered directly to your soul. Fronted by Senegalese griot musician, Lamine Sonko, Public Opinion Six breathe new life into the sound of West Africa and bring a powerful message of resistance to the next generation of afro-beat. The band performs original compositions that fuse traditional Senegalese Sabar music and dance forms with a first- hand afro-beat authenticity. The songs flip in and out of traditional tongue, street pidgin chants and English verse regularly punctuated by impossible percussion.